Find the Midge, that was the goal. Parked at 31°F Air Temp, wind hit me in the face the second I got out of the car. For a second I was slightly concerned but after gearing and hiking downstream any hesitation had passed and been replaced by anticipation. 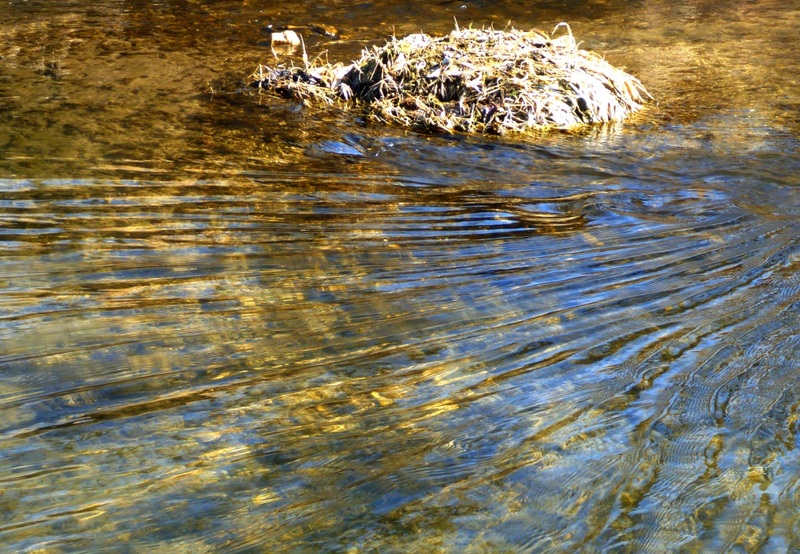 First riffle I crossed was at 10:42am, water temp was cold at 38°F. I scanned the banks for any signs of midge and found none. 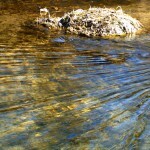 At that moment my eyes wandered upstream to a slow flat section of water. There in the distance two distinct dimples back to back…rising. I picked up and continued downstream. I figured due to water temp and the lack of bugs on the banks that I’d start the morning with an SMB. Last June this creek was rocked hard by a high water event and I had to relearn a good portion of if this morning. 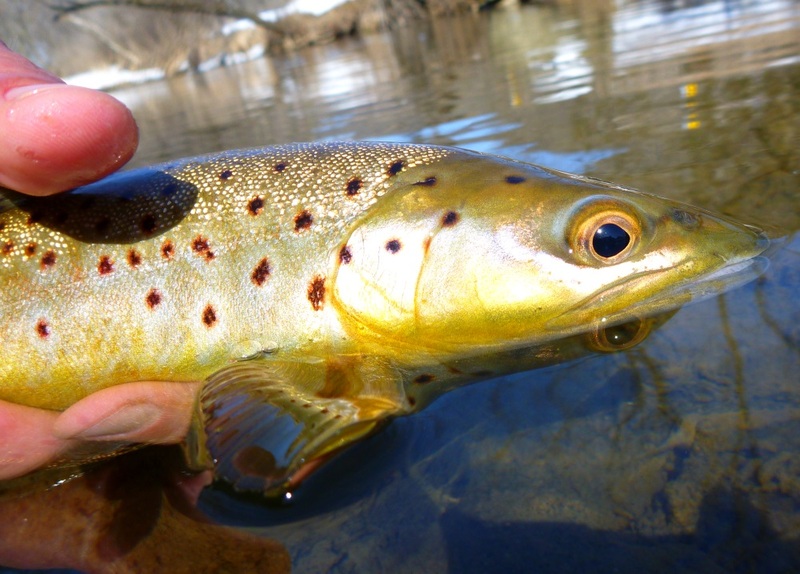 The SMB moved two trout to strike in the first hour but otherwise was not producing much for a reaction. 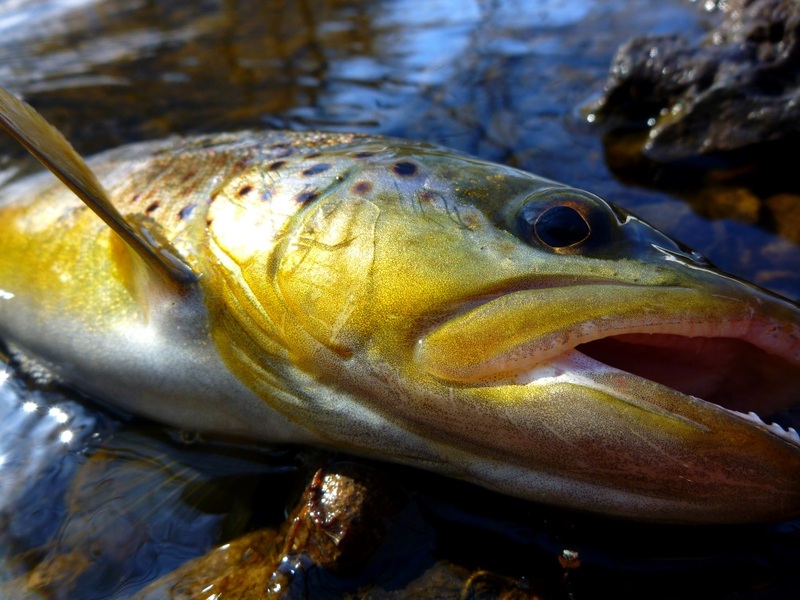 I fished upstream until I was standing in the same riffle I temped the hour prior. 11:45am Water temp is reading 40°F, I look upstream to the same slow flat section of creek and see the same set of dimples. 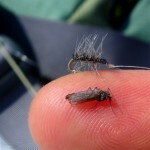 I drop the SMB in favor of one of the #18 Griffith Gnats I tied at 6am preparing for the day. Due to the slow flat water posing a difficult presentation I extended my leader to over 10ft and added a good 8inches of 6X tippet. I knew there would be wind today to some degree and my thought is if there is going to be wind do your best to make sure it’s at your back. 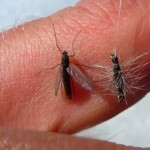 This certainly helped extend my leader out and put me in a better position to present my fly. 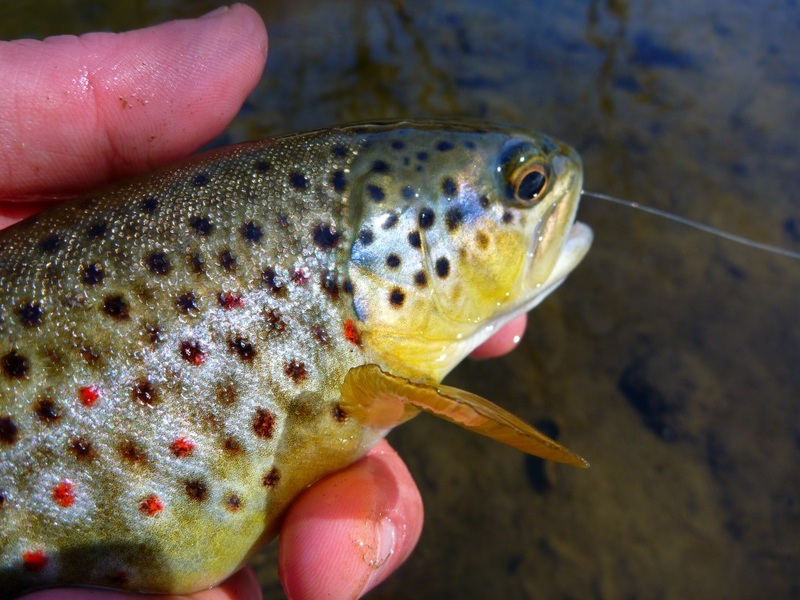 Despite my best efforts, a low slow approach with long stretches of time between casts I could not get those trout to rise on my fly. It is now 12:15pm and I’ve spent 30minutes casting to the same two fish with no success when I stop and look up to the run that is maybe a hundred yards upstream to see rise after rise even a leaping trout or two. Aggressive rises? 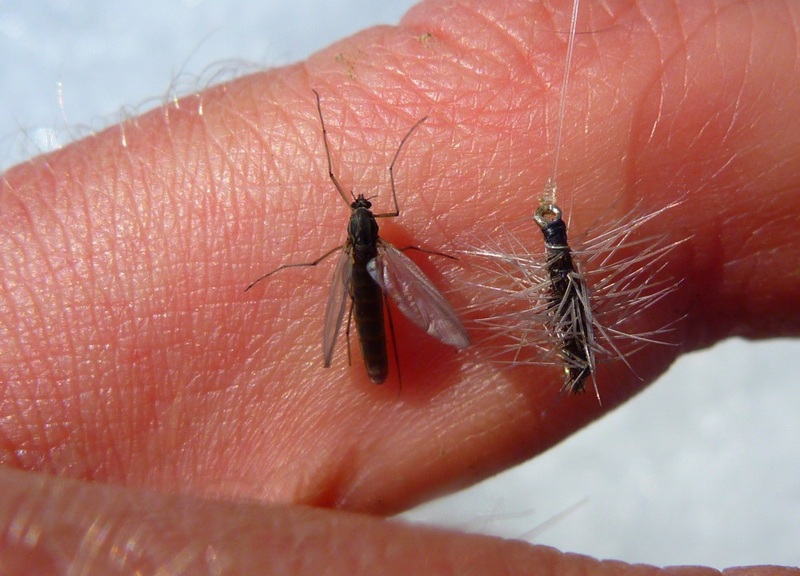 Midge typically illicit a more subtle sip or slow controlled rise but flying trout? 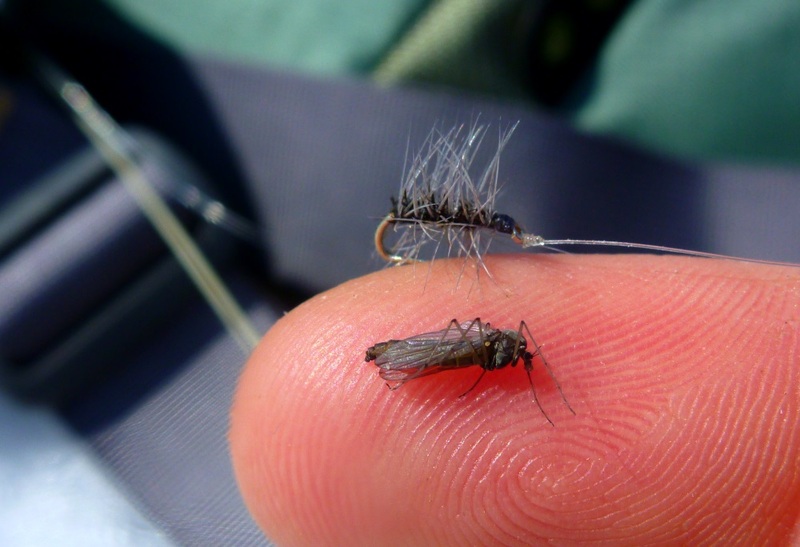 That is behavior reserved for caddis hatches. I sat and watched for a few minutes and it continued, then increased in frequency and number. Scanning the banks I could see the midge had started marching up the snow covered banks…it was on. 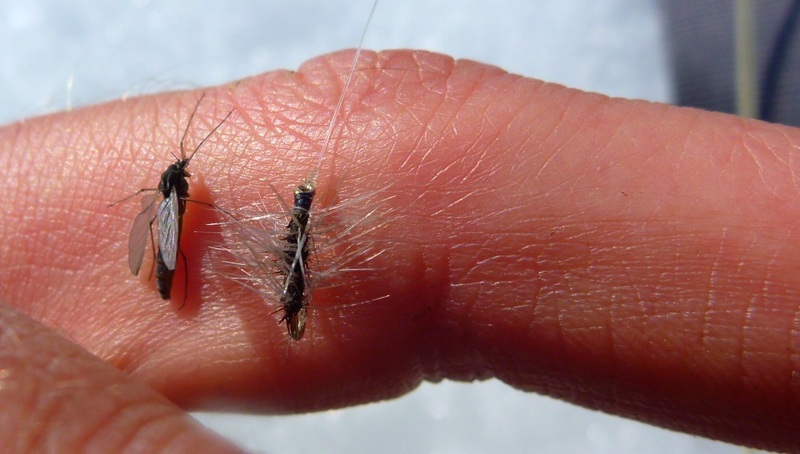 Find the Midge…Midge found. 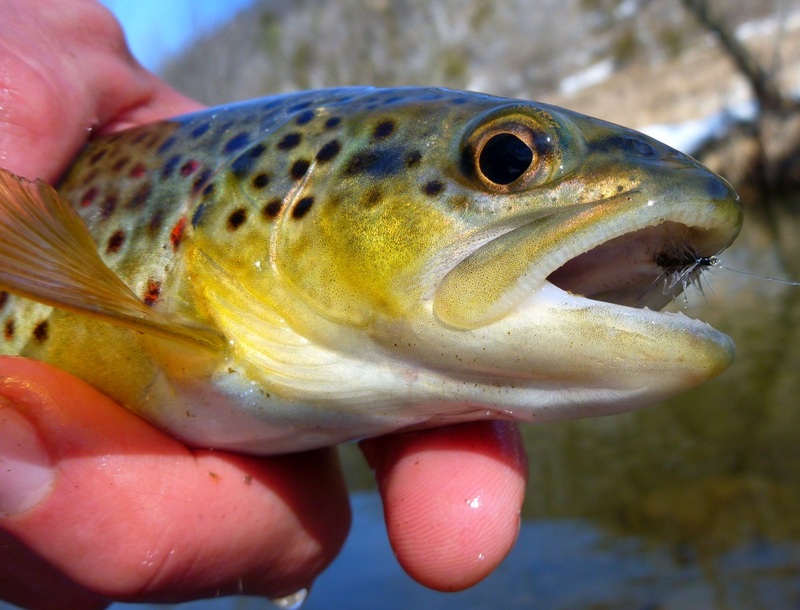 I hiked further upstream looking for more evidence of rising trout fishing the mini-streamer as I went. Another couple hundred yards and I stopped dead in my tracks, it was on and on strong. I swapped back to the #18GG and got in place, I watched for a good 5 minutes just sipping my coffee organizing my plan of attack. Pick of the furthest downstream fish to my right then work the faster water upstream until I got to the fish that kept rising behind the rock and see what things were like from there. 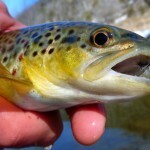 This plan played out as prepared and in doing so I pulled out another half dozen trout and I hadn’t even gotten to the good part of the run yet. 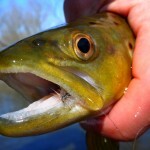 I was less than 10 feet from aggressively rising trout, they could care less if I was there. These fish were hungry and this continued until 2:15pm. 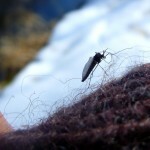 Over two solid hours of midge hitting trout and I still had plenty of creek and time infront of me. 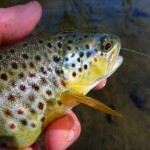 After working up the run to a point of conclusion I swapped to the mini-streamer and fished the whole thing over again. 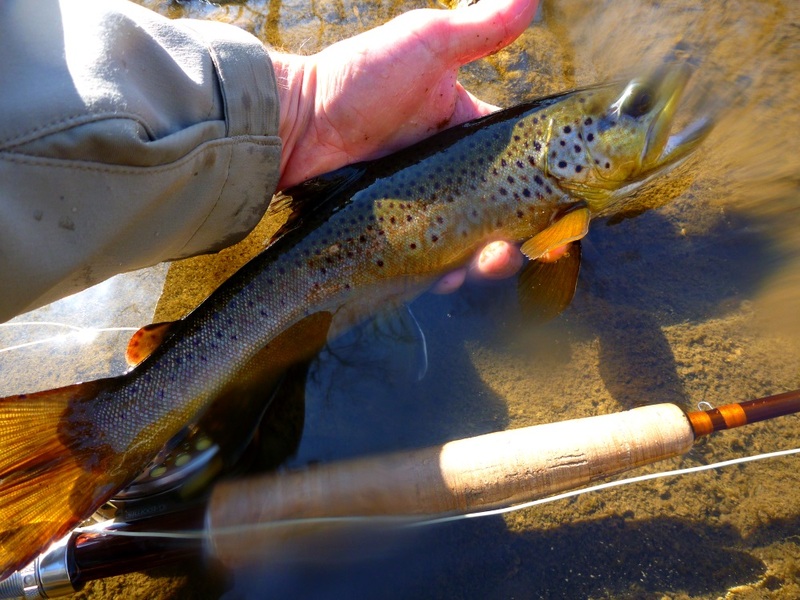 The slop even produced excellent results, three fish all between 14-16inches came to hand. 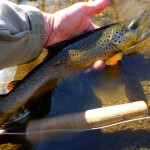 The nicer 16inch brown was holding in the fastest water about a foot down. At this point all goals had been met, my hands wreaked of trout stick and I had a smile on my face. The wind had died down to almost nothing, the sun was out and the only thing that was concerning me was the run off I could hear entering the creek. By this time it was practically pouring in from all sides. I temped the creek again at 2:45pm curious if it would stabilize or worse drop the creek temp but it just kept rising now at 44°F. 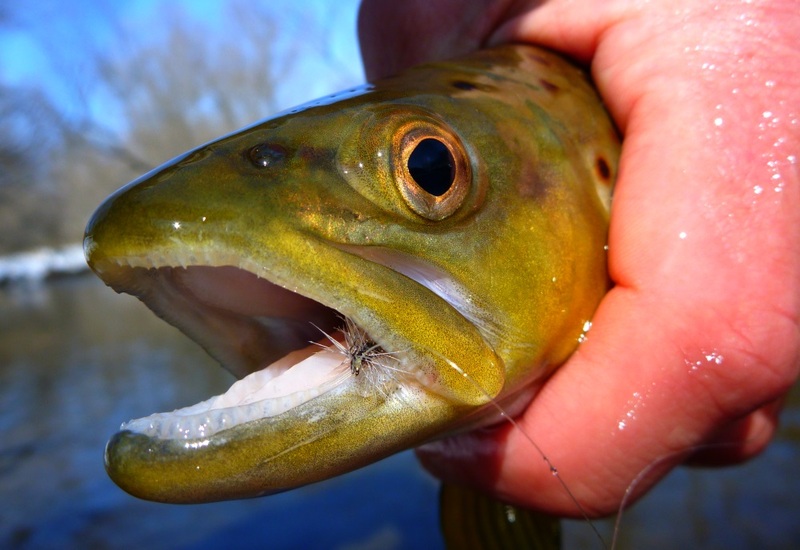 I fished the mini-streamer the rest of the day. 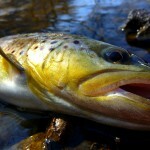 Not much more to be said, I nailed a few nice browns before heading home. Water temp continued to rise up until I pulled boots from the creek. 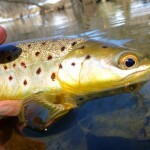 All in all my hands touched and released approximately 3 dozen trout, maybe more. 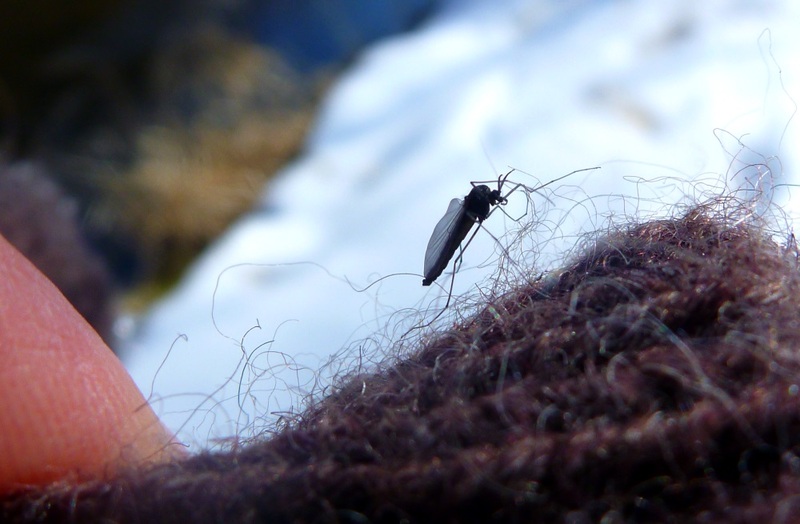 Midge found. Rising trout found. Day conquered. Put together a great day. Nice information-rich post. Great images of S. trutta, thanks man. Inspiring me to get out soon. Thanks man. Trying to get back to the swing of things. The photos turned out alright despite my limited equipment. Plans are in the works to change that, it’s time to up the ante. Hope you’re doing well over there. Take care. Nice work. I’ve been tracking with you off and on for about a year now. Your site reports and you tube videos are killer. Reminds me of being a kid and watching snowboard videos in the fall waiting for the first snow and jonezin to get out! I’m fairly new to the hastings area and make the trek south as often as I can get away from wife and toddler. Keep up the good work. Maybe we’ll cross paths someday. Thanks Tim! I appreciate the comments on the site and videos. You’re living in a great place man. I hope this season treats you well, April. 1st is so close.